Condition: Excellent condition, Fine, no signs of usage. The 1916 Easter Rising and its aftermath changed Ireland for ever. The British government’s execution of 14 republican rebels transformed a group hitherto perceived as cranks and troublemakers into national heroes. Those who avoided the British firing squads of May 1916 went on to plan a new – and ultimately successful – struggle for Ireland’s independence, shaping their country’s destiny for the century to come. But what sort of country did they create? And to what extent does post-1916 Ireland measure up to the hopes and aspirations of ‘MacDonagh and MacBride / And Connolly and Pearse’? 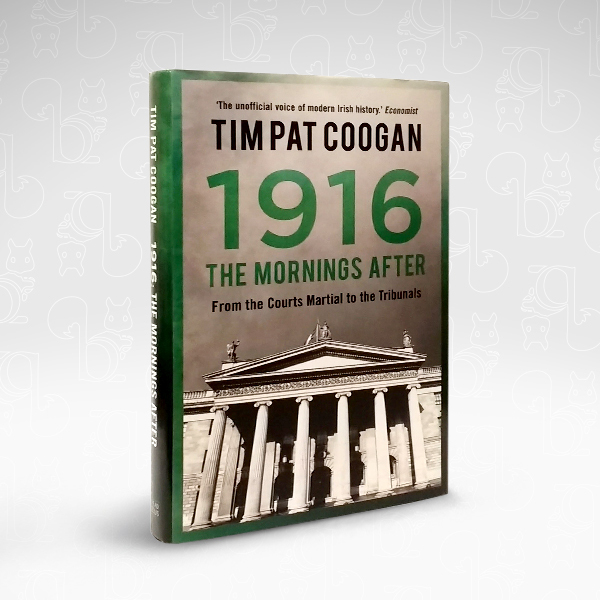 Best-selling historian Tim Pat Coogan offers a strongly personal perspective on the Irish century that followed the Rising – charting a flawed history that is marked as much by complacency, corruption and institutional and clerical abuse, as it is by the sacrifices and nation-building achievements of the Republic’s founding fathers.